I guess for Halloween, Google made this artistic smoky eyes (that is a thing?) pumpkin. They posted this photo on Instagram some time ago. 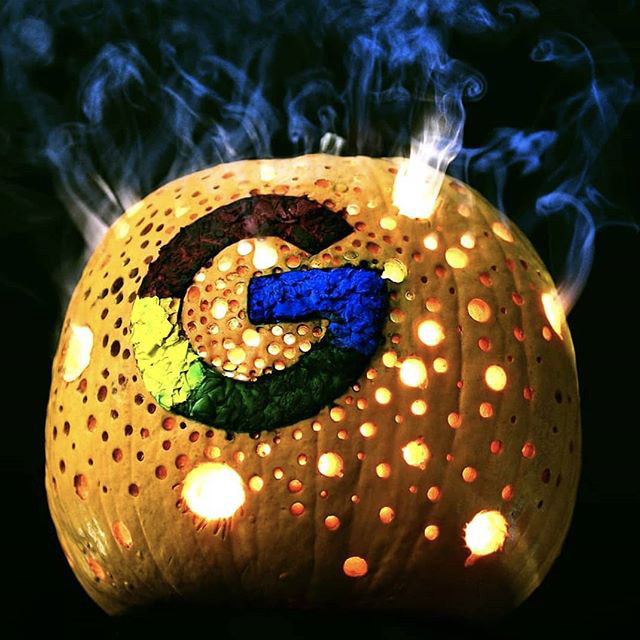 The G logo is on it and there are holes throughout the pumpkin. Google wrote "#MySuperG-ourd. Carved by @offdaysphotographer."